A few nights ago, I lost one of my mittens at a bar. I looked everywhere and tried to retrace my steps, but could not find it. 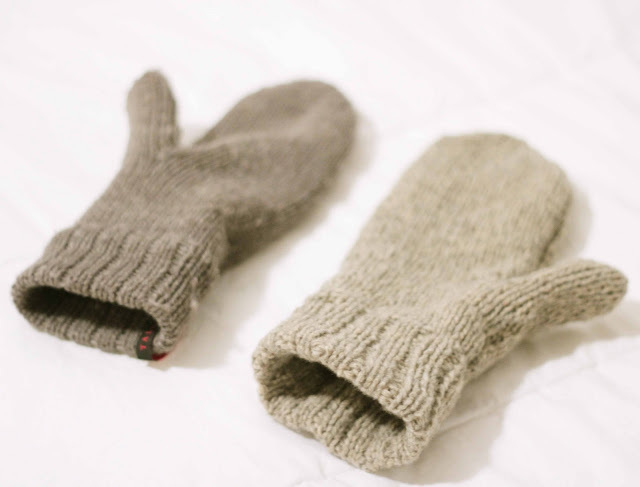 Having only one mitten is frustratingly useless (left). the yarn is a slightly different colour, but I think it's close enough, and just as cozy (right)!